Sony unveils slimmer, cheaper PS3 consoles | What Hi-Fi? 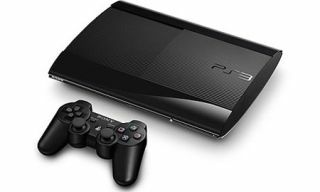 Sony is hoping to boost sales of its PS3 console by launching a pair of slimmer versions. One model will have 12GB of flash memory, making it the cheapest PS3 to date, and will be joined by a 500GB hard drive version. The latter will cost approximately the same as the old 320GB model. "By adopting a sliding disk cover, the new PS3 retains its the characteristic sleek curved body design," says Sony. Buyers of the 12GB flash memory unit can expand the storage capacity by connecting an optional 250GB hard disk drive (HDD) to be released alongside the new model. The 500GB version will go on sale on 28 September in the UK and the 12GB device on 12 October. Exact prices remain to be confirmed, but the 12GB model, which is exclusive to Europe, is likely to sell for €229 (around £180). The 500GB version should be approximately €299 (£240).